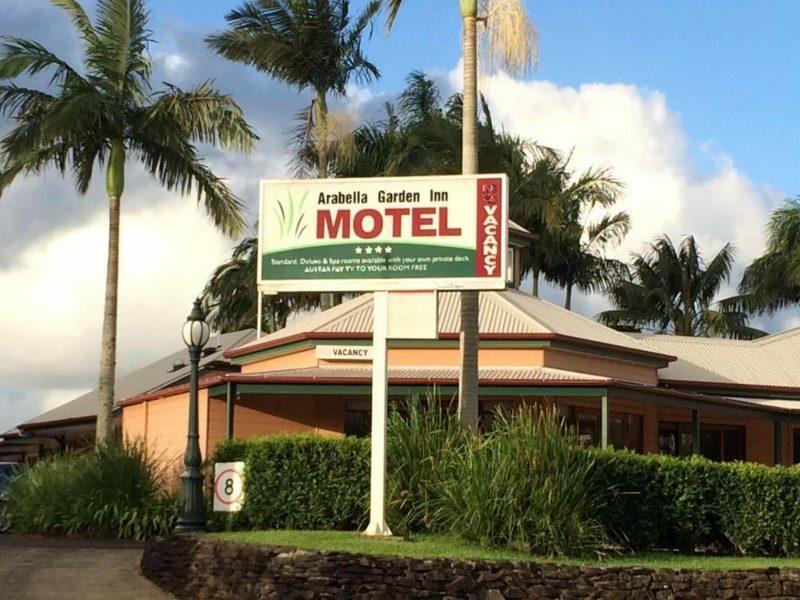 Relax and enjoy the peace and tranquillity of The Arabella Garden Inn, set in the rolling green hills of the Alstonville Plateau. 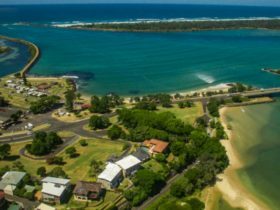 Located midway between Ballina (the sea) and Lismore (world heritage rainforests), just 25 minutes to Byron Bay and 90 minutes to Coolangatta airport. It’s the perfect base for business or pleasure. 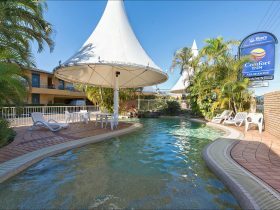 Established in 1998, the accommodation is renowned as one of country New South Wales’ best motels. 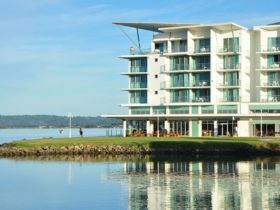 Delight in the comforts offered, free cable television, private deck, stylish furnishings, polished timber floors, and a variety of adjoining restaurants. There is also room service available. Bedding consists of one queen size bed. Workbench for the business traveller and your own private deck. Table and chairs for breakfast in your room. Pioneer Tavern and other nearby dining facilities that offer charge back. Some rooms have a king zip bed and a fold out sofa. 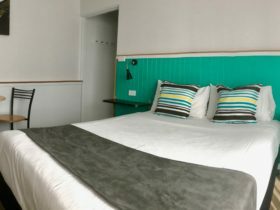 Some rooms have queen size bed and either one or two king singles. Work desk, table and chairs, and your own private courtyard allow for a relaxing enjoyable stay whether for leisure or business, also creating the perfect place to enjoy room service breakfast. Nearby dining facilities with charge back available. Room consists of queen size bed, a sofa bed that folds out to a double bed. 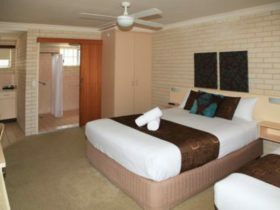 Spa room is large with polished timber flooring and has ample room for a fold out bed or cot. Cot and foldout available from reception as required on request. Relax in the spacious spa with separate shower. Table and chairs for breakfast or relax on your private patio.